The top line findings from the report don’t sound great but dig a little deeper and there is a positive or two… 20% of companies increased their advertising budgets in the last three months of 2011, and, according to initial reports firms are looking to raise their 2012 budgets compared to last year. Where does this leave Radio? When times are tight Radio Advertising can make budgets work harder! As the above research from the RAB shows radio can deliver in terms of Direct Response, Awareness and Brand Positioning. Closer to home, at RadioWorks, we have seen an upward surge in advertisers looking to use radio and digital audio. Tools, such as the unsold inventory reverse auction site – Bid4Spots, and the growth of digital audio opportunities including: Spotify, We7, UK RadioPlayer, and Absolute’s InStream, have been a real draw for advertisers more cautious with their budgets. If you’d like to find out how Radio can work for you then please feel free contact me at RadioWorks on 0207 90 70 6 70. 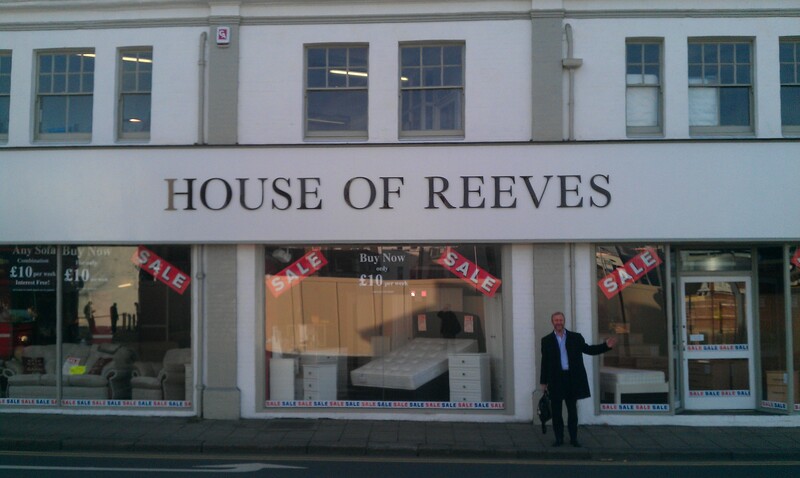 After the events of last year’s riots RadioWorks wanted to help out one of London’s worst effected business, the House of Reeves. Thanks to the generosity of radio stations including LBC, Radio Jackie, talkSPORT, Premier, Absolute and Smooth – RadioWorks were able to secure free of charge airtime. Their message, created by Maple Street Studio’s, was a simple one… We’re still open. Today, I travelled down to Croydon with RadioWorks founder and CEO Michael Charnley-Heaton to visit Trevor Reeves and the business. We can report back that despite the tough economic situation the business is still going strong and selling a great range of furniture. We wish them all the best for the future. Had a very interesting morning today thanks to Absolute Radio who invited me and a few RadioWorks colleagues along to their Redefining Radio conference at Portcullis House, just across the road from the countries seat of power. Speakers for the event included Ed Vaizey, the Minister for Culture, Communications & Creative Industries, Karla Geci from Facebook, the BBC’s Tim Davie, Rohan Oomen from Xbox Live and Absolute Radio’s Clive Dickens, James Wigley, Geoff Lloyd and Dave Gorman. The general message from all the speakers was that of positivity – radio listening is still growing and currently reaches 91% of the UK population was a stat rolled out by at least three of the speakers. Ed Vaizey told us how neither video or technology killed the Radio star, despite many predictions of its demise. Whilst Clive Dickens reminded us of how non-traditional radio is growing and commented on the changes the internet is having on the medium. It seems to me that the World Wide Web really is ‘wide’ and can offer plenty of opportunities for Radio Output (or should that be Audio?). Radio stations are already making good use of Facebook in terms of listener interaction and services like Spotify and the UK RadioPlayer are telling all our friends what we’re listening to. One of radio’s strengths is the sense of community that comes from being a listener. It is this sense of community that Xbox Live has developed with its users and what Facebook thrives off of. The challenge for radio, as defined by Absolute, is ‘Broadcasting one to many (to their community) whilst advertising one to one’. The answer? Well, according to Clive Dickens and James Wigley from Absolute, the answer is in-stream advertising. Encouraging listeners to sign up to an Absolute Radio account provides the station with rich listener data while the listener benefits from additional services and less, more relevant messages. RadioWorks are currently testing the in-stream advertising with one of our clients so if you’re interested in further information please contact us. For me the best speaker of the morning was the BBC’s Director of Audio and Music, Tim Davie. Tim echoed the message of positivity around radio and mentioned that ‘listeners relationship with radio is the strongest of any media’. For further growth in the radio sector Tim pointed us towards improved creativity and innovations via partnerships – with the UK Radio Player cited as a good example of how this has worked in recent times. So, in summary what have I taken away from this morning’s conference? Radio needs to remember its core strengths and not lose sight of where it’s come from. Retain the sense of community, engage with the audience and keep them entertained. Good luck on your travels Charlotte! 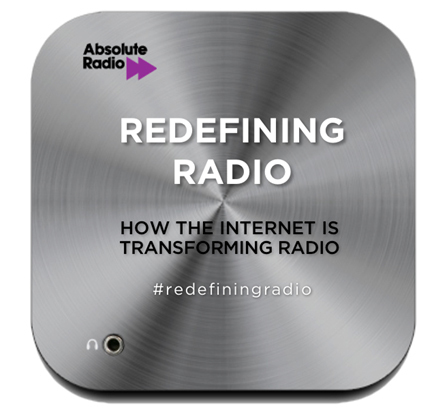 Everyone’s talking about it but what do we mean by the term Digital Radio? DAB Radio – These are the actual digital set receivers, 39.4% of adults claim to have a DAB at home. DAB listening equates to a 18% share of all listening hours but also achieves 26.8% share of all weekly reach. Smartphones – 85% of stations have a smartphone application and recent data shows that 2.2 million people have downloaded a radio application. Unfortunately listening via smartphones is not specifically measured by RAJAR, however, respondents are asked if they have ever listened to radio via a mobile phone, to which 15.8% of Adults and 32.4% of 15-24s have responded positively.